Normally when we have something for reviewing we receive it, use it and then we share our opinions about the product in a timely fashion. In this case though, we took our time to extensively test the Good Night Anti-Snoring Ring. Mark is a snorer (allegedly he demands I say….) but not your ordinary snorer, by ordinary I mean someone who snores every night so you know exactly what to expect… oh no not my Mark… Mark is difficult, he only snores every now and then. Over the years I discovered that his snoring is connected with tiredness and/or alcohol. This was also the reason why we took almost 2 months to “test ride” the Good Night Anti-Snoring Ring. The Good Night Anti-Snoring Ring uses tried and tested principles of acupressure to help you to stop snoring. 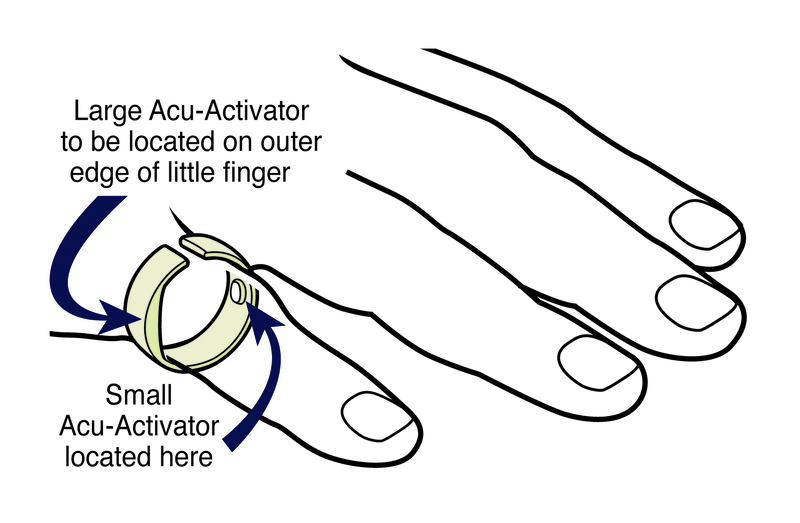 It applies light pressure on not one, but two specific points on your little finger. This is the most natural, non invasive way of stopping snoring and getting a great night’s sleep for you and your partner, ensuring you awake fresh, invigorated and ready to face the challenges of the next day. The Good Night Anti-Snoring Ring is available in 3 different sizes – small, medium and large – it is important to remember when choosing that it is supposed to fit on the small finger, so make sure you purchase the right ring. You have to be very careful when picking your size as it must fit correctly in order to work. We had a small problem with our sizing – the small ring was just a bit too tight and the medium one was a bit loose, we overcome the problem by adjusting the size of the medium ring to fit Mark’s finger. Once you order your Good Night Anti-Snoring Ring it will arrive with a leaflet and instructions on how to use it, so there is no need for any research. The Good Night Anti-Snoring Ring comes in a lovely drawing bag, so you have somewhere to store it during the day. I really like this about the ring; the packaging in this case is important, as I do not have to worry every evening and try to remember where we might have happened to put the ring that morning. Using the ring is extremely easy. You buy it. You get it. You wear it. That’s all! Nothing else is required but this one simple task; wear your ring every night. For us it worked from the first night… or at least I think it worked from the start as I have not heard any snoring sounds in our house for months now. It’s been a blessing. I can have an uninterrupted good night sleep and Mark doesn’t wake up with bruises around his body because I lost it in the middle of the night and tried to wake him up in order for him to stop snoring. 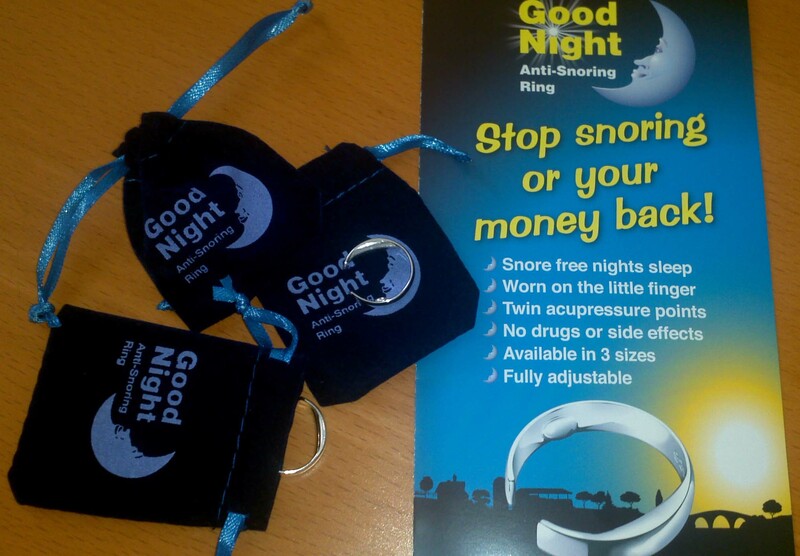 The Good Night Anti-Snoring Ring costs a mere £30 and can be purchased directly from the Good Night website. 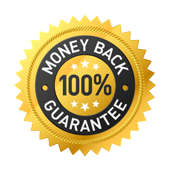 Purchasing your ring from this Good Night web site you have no risk because the company offers a 100% Money Back Guarantee if you aren’t happy with the results. All they ask you is that you try and wear it according to instructions for a minimum of 21 days before making your mind up about the product. In some cases the ring might not work from the first night and your body might need an adjusting period. 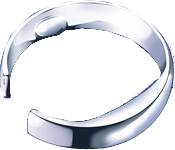 If you have any questions about the Good Night Anti-Snoring Ring please check FAQ section on the website or just ask and I will do my best to provide the answers. I am extremely grateful to Good Night for this fantastic product it has changed my life for the better. We now enjoy a good night sleep more than ever since Mark started to wear the ring. Thank you guys! Surely, I will try that on my husband. Other than snoring, my husband sometimes kick and punch in his sleep, is there something to help that too? I think we definitely need 2 of these…he says I snore and I say he snores…each of us implicitly deny we do! I need to get one of these for my daddy, he snores like a chainsaw hitting a pipe! I hope you did find all the answers to you questions in FAQ. If something still is unclear, please let me know and maybe Mark, as a user, will be able to help.